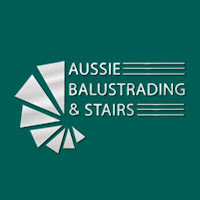 Aussie Balustrading & Stairs is the finest stainless steel supplier in Australia. We started operating independently in WA and possesses one of the best company in this field. We work as a team and the group of people is highly skilled professionals who try to build a strong relationship between the Aussie Balustrading & Stairs and customers. We are helping people with everything they need regarding installations and supplies. It’s enough to keep their customers happy by providing every facility on time. It brings Integrity, Authenticity, and Satisfaction in their lives, which are the key principles of Aussie Balustrading & Stairs. By following these principles, the Aussie Balustrading & Stairs delivers the best supplies for installation purposes to satisfy all the needs of customers. We try to build trust by doing our best.